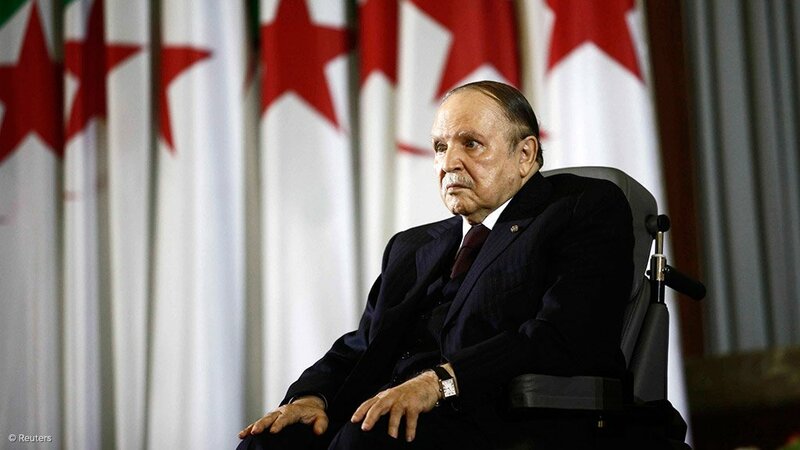 Algeria's President Abdelaziz Bouteflika said on Sunday he would seek a fifth term in a presidential election set for April 18, the state news agency APS reported on Sunday, putting an end to months of uncertainty caused by his poor health. Among names cited by Algerian media as a possible future vice-president are veteran former United Nations diplomat Lakhdar Brahimi and Prime Minister Ahmed Ouyahia. Bouteflika's announcement came a day after the ruling FLN party picked him as its official presidential candidate. Several political parties, trade unions and business organisations have already said they would support his re-election bid. Bouteflika remains popular with many Algerians, who credit him with ending the country's long civil war by offering an amnesty to former Islamist fighters.